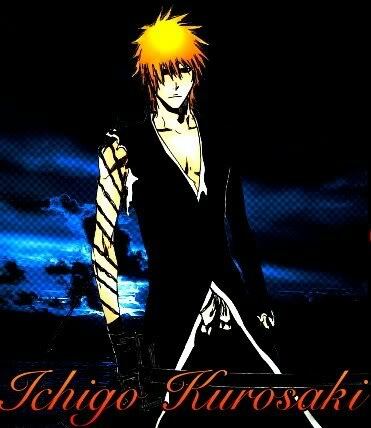 Here's the rules Grimmjow your Ven, Ichigo your Terra and I will be Aqua. 4. No god moding during training Grimmjow!!! I will create Starter when I have the time. 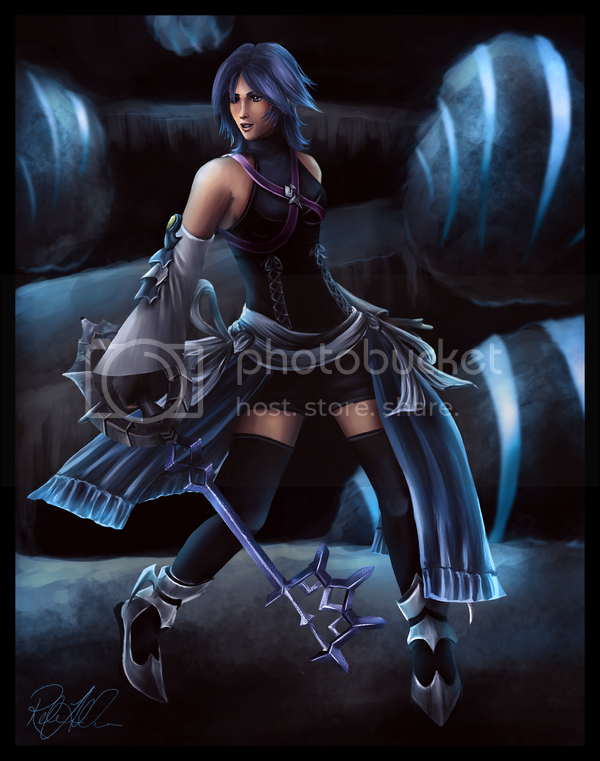 Walking to her friends Ventus and Terra one of the keyblades chosen known as Aqua wandered ready for practice. "I hope Ventus and Terra are going to train better today then they did yesterday" Aqua commented to herself. Her blue hair blew a bit with the morning breeze. Today she was ready to show those boys who is the best wielder of the Keyblade. By the time she found Terra she was irratated because Ventus wasn't there yet. "Terra where is Ven...I'm sure I told him to come at this time did I not" She asked coldly. She waited for Terra to answer her. This was something that could make her mad enough to punch Terra where he stands. But she chose not to do so. "Nevermind We'll start without Ven...Come Terra" She said calming down. 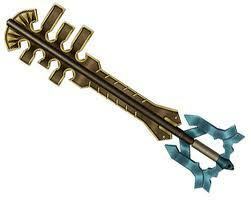 She quickly summons her Keyblade and waits for Terra to do the same as well. 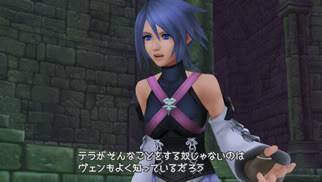 Walking up to the training grounds located where we stood, Land of departure, i spotted Aqua one of the three among us to have the Mark of Keyblade Master. Being a keyblade Master is something i always dreamed of being but because of something dwelled inside me i cannot practice in peace, thus yesterday's training i wasnt putting it my all. "Hey..Aqua" Terra responds waving only with his left hand as his front hair swayed side to side by each step he took. Terra then stood with a confused look of Aqua's question "Umm...Ven?....he-" thinks for a while. "Oh, he's on the other worlds exploring" he answered with a slight smile. "hmp, anxiously for training arent you? Alright then get ready!" stands in offensive position looking straight at her letting her a slight chance to strike first. Aqua walked towards Terra her eyes focused on his and his movements. "Come Terra...you go first I'm to teach you" She said coldly her demeanor was clear for all to see. But she charged forward her hand lifted sending a fireball at Terra. Then she appeared right behind him knocking his Keyblade out of his hand. Terra only smirked as she talked, seeing her head straight for him he launched a blizzard like attack at her fireball thus countering it. Gasping a bit that she moved so quickly appearing right behind him he noticed that he let his guard down, quickly he lets go of the keyblade she kicked out of his hand and grabbed her keyblade instead, since she was so close to him, "Almost forgot not to let my guard down when your around...your not like Ven" he said smiling, now they stood eye to eye grabbing the same keyblade. She was amazed to his reaction time he indeed learned well from her however she knew he was letting his guard down once again. She quickly summoned another Keyblade in her other hand as the first she had vanished. Quickly she knocked him to the ground with a thunder. "You must learn to resummon your blade...if you can't manage that then you will fail" She said as her blade vanished. Shortly she sat down and looked at him. growling he shook his head as he sat up, "Damn..." looks at her "Well i think you keep improving more and more each day how the heck could i keep up at that rate?" he laughed lowly. She sat now looking at him she had a smile on her face but the thought of where Ventus was kept filling her mind. 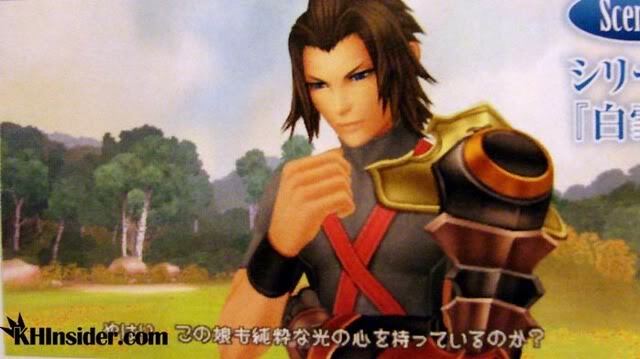 "Terra you have to train every day as hard as I do" Aqua commented. Her eyes looked into nothingness as her mind raced in thought. "Its just that i have so many things in mind" he frowned thinking on the darkness but then he would look at the stars above, smiling once more he stood up as his keyblade vanished to tiny particles "But that wont stop me ill keep training each day as hard as you do, especially Ven ive been training that little guy like crazy" he smirked. She laughed from nowhere even when she really heard nothing Terra said to her. "Oh you do train everyday than what's up with you talking to girls..." She asked chuckling a bit. Her eyes lit up as she talked to Terra. "I'm surprised they even talk to you" She laughed. "Hey whats with the laughter" he said crossing his hands. Listening to what she said he tilted his head "Very funny Aqua" he rolled his eyes "Anyhow i am going to check on Master Xehanort..i think he said to meet him for some reason" he scratched the back of his head. She stood up and punched Terra's arm. "Sure if you say so...I think you just try to avoid me" She commented as she started to walk off to find Master Xehanort. "Trying to avoid you? Now why would i do that Aqua?" brushing off his arm she punched which didnt hurt, he smirked now placing his arm on her shoulder "Your my friend Aqua, i would never try to avoid you" he followed right besides her making their way to xehanort. -Meanwhile: Xehanort was talking to someone hiding in the shadows seeing that aqua and terra where coming he quickly turned around and walked towards them "Im glad you made it terra" he then looks at aqua "And aqua" he evily smirked as always. Aqua looked towards him. "Yes" She answered her eyes remained locked onto Xehanort's face. However she yanked Terra's hair but so that Xehanort didn't see her do it. "Aqua! 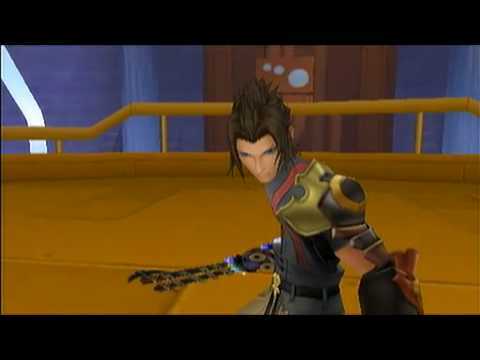 Terra!," Ventus shouted as he wave his hand back and forth but stop once he saw xehanort was with them. 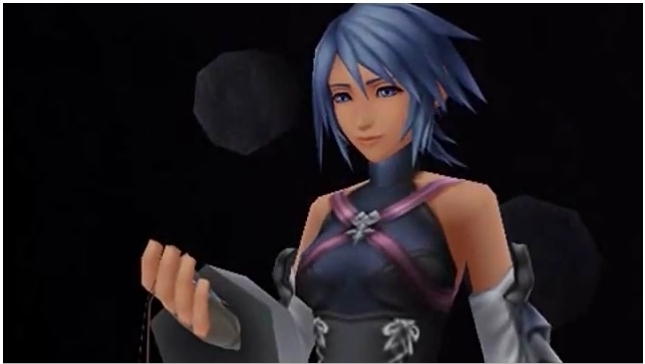 Aqua turned to look at Ventus who was finally here. 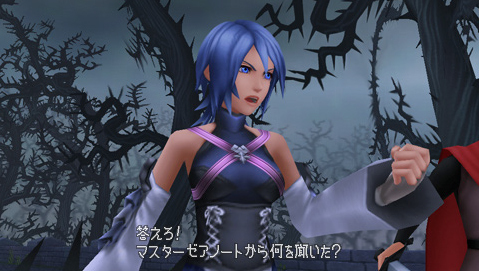 "About time Ven" Aqua said coldly her face was giving off the same coldness. "I'm sorry" ventus whispered knowing that he was introuble and that Aqua was in a bad mood. She noticed that Ventus was sad and walked over to him. Her face softened first and she put her hands on his shoulders. "No...you just need to keep track of time better Ven" She commented and smiled but it soon looked more sad. "Didn't terra told you were I was?" Ven questioned aqua to let her know he didn't do it on purpose. i then cough to get their attention as i whisper to them "Xehanort is talking guys"
Xehanort looked at them three with his hands crossed behind his back, leaning a bit foward in like an old man's position. "No he didn't" She said confused but shook it off. She gave him a hug and turned but to Xehanort who was talking to her. "Oh!" Ven exclaim forgetting that xehanort was with them and stepped aside since he was not involve with this but just listened. 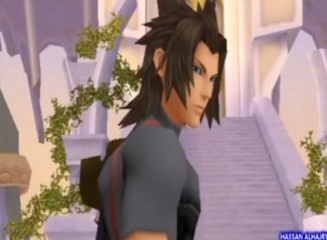 "Thanks Terra, Know there a mission that came this morning and you two will help me with the mission. Since I told you right now without notice, the mission will start tomorrow," xehanort announced to them with a smile. 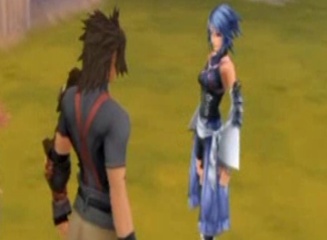 Aqua insisted to listen but kept looking towards the sky then to Ventus. 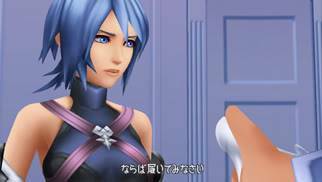 "Yes Master Xehanort" Aqua said even when she wasn't paying attention. Turning back to Ventus she smiled.